In January this year I posted an article about my visit to The New Zealand Whisky Company, including a number of tastings (the article is still one of the most popular articles on this blog). I particularly liked the South Island Single Malt 18 & 21yo. I've just heard that they've recently been recognised for their efforts internationally, with wins in whisky competitions in both San Francisco and London, including wins across three categories at the World Whiskies Awards in London, and a DoubleGold medal for the South Island Single Malt in San Francisco. In London, the New Zealand Whisky Collection’s DoubleWood won the category for Best Australasian Blend, while the South Island Single Malt was voted the best aged Single Malt from Downunder. 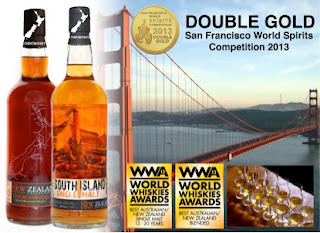 At the San Francisco World Spirits Competition in late March, the DoubleWood also gained a gong, picking up a Silver Medal to complement the Double Gold for the South Island Single Malt. “Winning one of the few DoubleGold medals on offer saw our South Island Single Malt recognized as one of the world’s great whiskies. We are humbled by our results in such high caliber competitions; it really honors the craftsmanship of the Dunedin distillers, and the commitment to quality by our Oamaru team, and our production partners in Christchurch." “This is an enormous result considering our first shipment has just arrived in the USA for the Mid-West market out of Chicago. We’ve now had enquiries from Californian and New York distributors too." 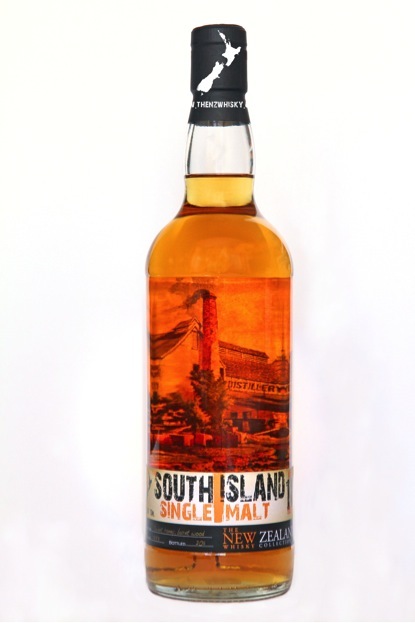 The South Island Single Malt will now go on the event’s DoubleGold 14 city roadshow, showcased to buyers, whisky writers and connossieurs from across the beverage industry around the US. The New Zealand Whisky Company is a success story that signals a revival of the whisky industry in New Zealand. The whisky was once distilled by Seagram’s in Dunedin before the distillery was sold to Fosters in 1997 as part of a global rationalisation. Fosters mothballed the distillery and inexplicably closed it. But fortunately, more than 400 barrels of this whisky remained, and were bought by the New Zealand Whisky Company, set aside to mature and sweeten. Since then, the company has worked hard to revive the century-old industry and the whisky has been met with wide acclaim. As well as regaining the foothold once held across New Zealand by Wilsons, the whisky is now exported from Oamaru and available across Canada, the UK, Australia and Europe. 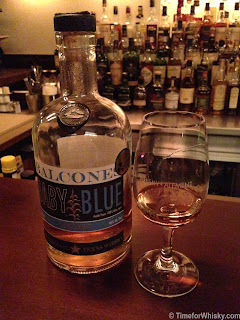 Balcones Baby Blue corn whisky - another #101drams dram to tick off the list (again from Whisky+Alement in Melbourne) and if I'm honest, one of the drams I was most excited about trying. At only $12 too? Hard to pass up. Balcones are establishing quite a name for themselves, not just for making quality whisky (which they do, very well) but also interesting whiskies, such as this whisky made entirely from Blue Corn. They also do a 50% ABV version ("True Blue"), which I'll need to get my hands on one day. Nose: Different! Very different. Plastic (or plasticine as was suggested by the W+A staff)? Not what you'd expect in a whisky like this...although to be honest, I didn't know what to expect! The unexpected I guess? OK that's enough. In short - lovely. Finish: Just keeps going and going and going. Same as the Nose and Palate to be honest (toffee, bananas, hint of plastic). It's not a multi-dimensional whisky, but the one dimension it does have is fantastic. The finish was still going on the walk back to the hotel. Fantastic. Rating (on my very non-scientific scale): 94/100. Now on my list of "Whiskies to buy". 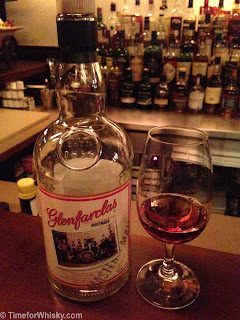 When pulling together the #101drams list, I came across this Glenfarclas Movember edition. Being a huge fan / participant of Movember for a few years running (see the horror below), I decided this had to be on the list. Trouble was, Master of Malt had sold out and there were no samples left. Given the limited release, I figured this would be one of the trickier drams on the list. 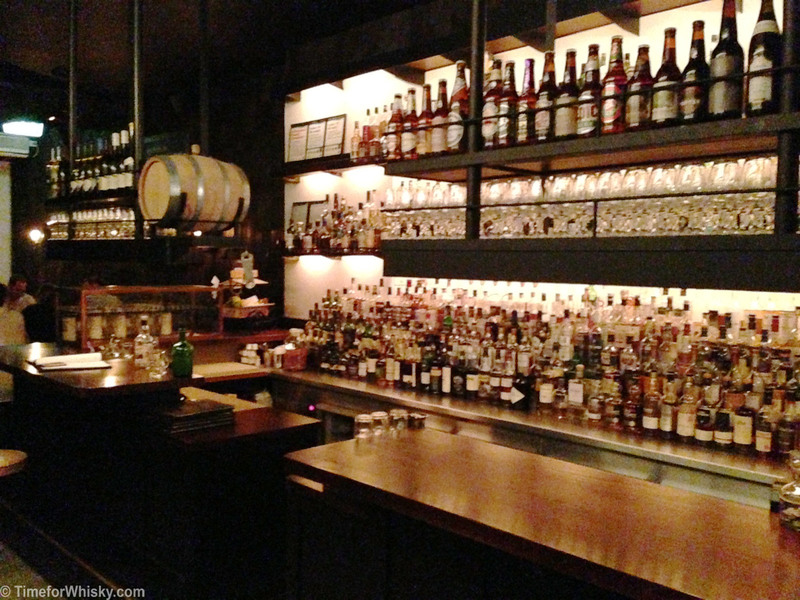 During my recent visit to Whisky+Alement in Melbourne though, I noticed it on the menu, and when informed they only had one dram left, I knew I couldn't risk waiting until my next visit. Nose: Slightly salthy, very sweet. Not surprising given the oloroso casks this whisky called home for 9 years. Palate: Light, fruity, but none of the sherry sweetness from the nose. Very drinkable - I definitely see where the "aperitif whisky" label comes from. Finish: Short, smooth, pleasant. Drying but pleasant. Definitely a good "aperitif whisky". Rating (on my very non-scientific scale): 92/100. Impressive for its age. 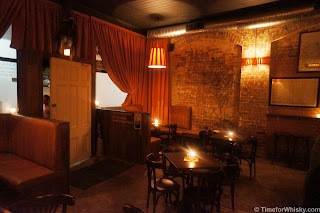 A few years ago Steph and I visited a great little whisky bar in Melbourne called Chez Regine. I remember them having a great selection and very reasonable prices, but the decor was a bit awkward and the place felt like it could use a refresh. So when I saw on Twitter that they were re-opening as Whisky+Alement, including a doubling of their whiskies (from 200 to well over 400), I knew another visit was in order. 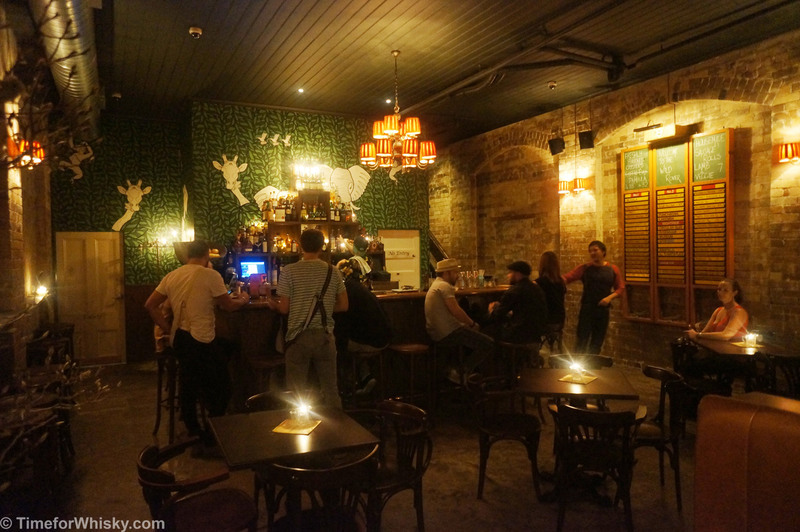 It might've been past midnight on a Tuesday, but the bar was still lively and the staff friendly and more than happy to chat all things whisky. We talked a bit about my #101drams charitable challenge and how they had an impressive number of drams on my list (I managed to tick off two - the Glenfarclas Movember Edition and Balcones Baby Blue - posts to follow). The whisky menu is a well laid-out global tour, covering not just the usuals (Scotland, US, Japan etc..) but plenty of representation from Australia, Europe, Asia and NZ. The bar is also an official SMWS bar, and have their own 20L cask maturing an ever-changing but unnamed Islay whisky (for a very reasonable $14 non-member price). 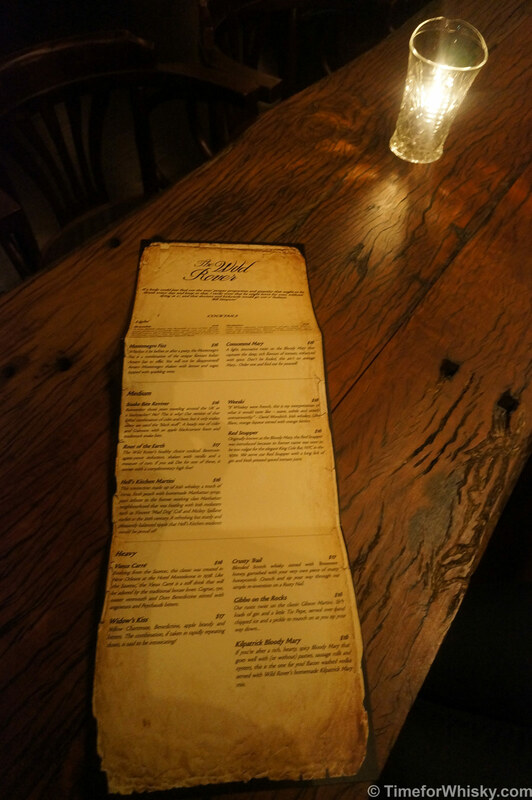 In fact, the entire menu was reasonably priced, with plenty of whiskies for $8.50 to $10, and plenty of excellent whiskies for under $15. A great chance to try that special whisky you've been wanting to try (heck, I have 101 of them!) but haven't wanted to shell out $100+ on a bottle for. 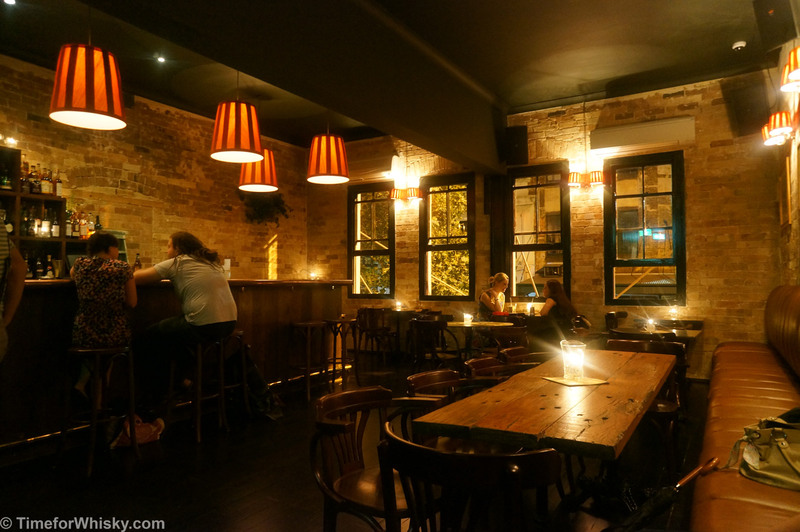 There's also a well thought-out boilermaker list (such as the ANZAC special Starward + Epic Pale Ale) and a small but tasty cocktail list, including cocktails from World Class finalist (and bar manager) Evelyn. You can even buy a selection of take-home bottles (including some SMWS bottlings). The decor is polished concrete, leather and wood, and fits the small intimate space perfectly. A huge improvement over the previous incarnation. Most importantly, the barstools (the only place to sit unless in a big group in my opinion!) were comfortable and could easily stand up to a night of dramming. Whisky+Alement is at 270 Russell St, Melbourne and opens from 5pm-1am (Tues-Thurs), 4pm-3am (Fri) and 7pm-1am (Sat). I'll definitely be back, again and again (hopefully a future trip will coincide with one of their tasting classes too). 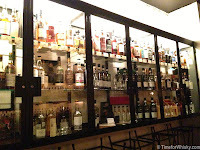 Back at World of Whisky in Double Bay (NSW) for a tasting of selected Independent Bottlers (post to follow), the gents were again kind enough to crack out a few tasty drams at the end of the night, and when offered, I jumped at the chance to try the Glenmorangie Ealanta. Nose: Shortbread, big wafts of shortbread. Some butterscotch, and a hint of the nuttiness evident in most Glenmorangies too. Palate: Sweeter than the nose implies. Toffee, vanilla, still a hint of shortbread. Finish: Smooth and pleasant, lingering (not unsurprising given the Original 10yo has a long finish, and this is aged almost twice as long). I still get shortbread, and some dryness towards the end. Glenmorangie Ealanta can be purchased from World of Whisky for $180AUD. Thanks to the gents for the taste! 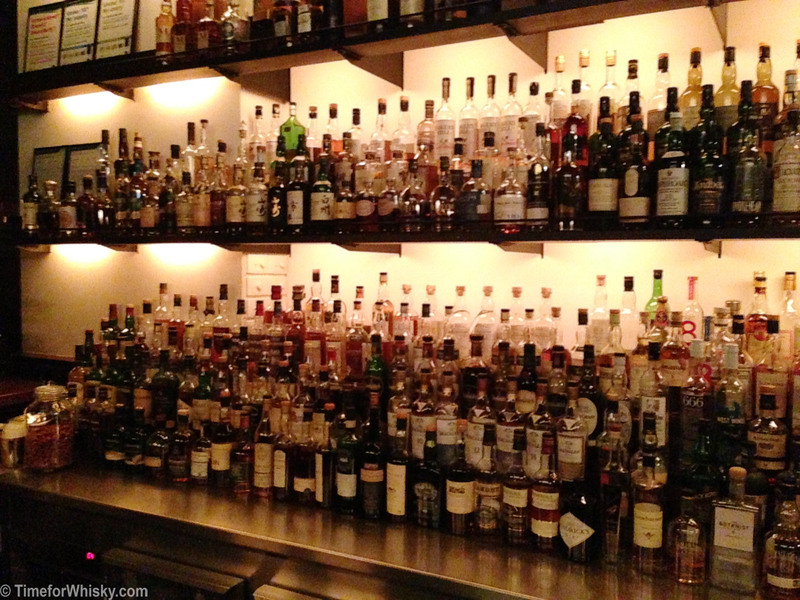 The folk at World of Whisky in Double Bay (NSW) have quite a selection of tasting whiskies. During their Tasmanian Expo recently, I noticed the Galileo included amongst the collection, and the gents were kind enough to give me a taste and allow me to tick another dram off my list. Palate: Peat monster, no doubt, but a more ashy, tarry peat than I get from the 10yo. A tad spicy, but the peat wins out here. Ardbeg fans will love it. Finish: Everything fades away but that ash, which lingers on. Very pleasant. Even 10+ minutes after, as I left the shop, I could still taste that ash. It's smokey like the 10yo, but even more so, and more of an ash taste than a tangy, salty peat. Ardbeg Galileo can be purchased from World of Whisky for $182AUD. A few months ago a colleague and I were chatting about whisky, and he mentioned he'd just gotten a bottle of Taiwanese whisky from a colleague who bought it duty-free. 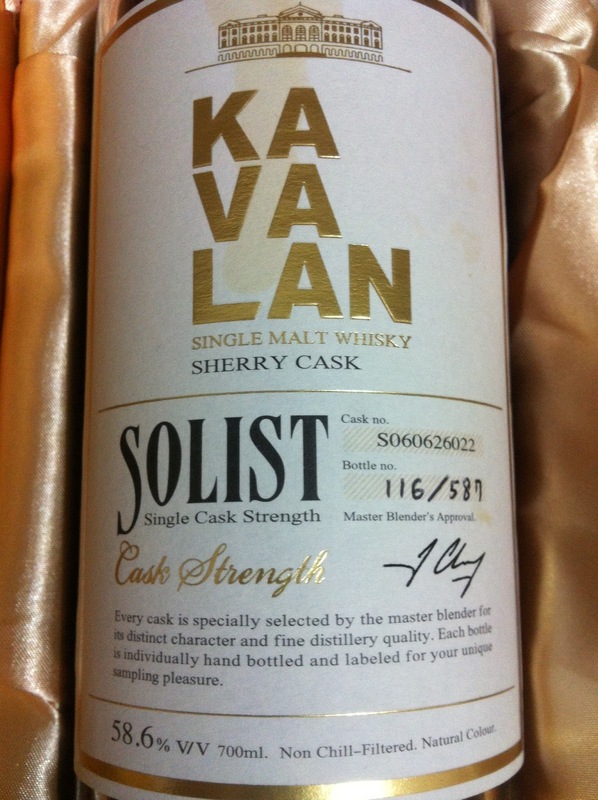 Not having tried a Taiwanese whisky before, we agreed to swap drams - he'd bring a sample of the Kavalan to work, and I'd bring a sample of whatever he chose (which turned out to be the Starward Australian single malt). A few weeks later I was reading "Whisky Advocate" and found a great article on the Kavalan distillery - I had no idea it was such a highly regarded distilery (nor did I know Jim Murray had given two of their sherried drams 95 and 97 respectively!) Needless to say, at that point I was even more eager to try the dram..
Colour: Rich, thick, syruppy, and dark, dark brown. Probably the darkest whisky I've seen in a long time (natural colour too). Nose: Medicinal sweetness. Reminds me of those sickly sweet cough syrups I used to be fed as a kid when I was sick. Almost rum-like. Certainly pleasant, just very different to any whisky I've tried before. Palate: Initially dry, but the sherry sweetness quickly comes through, followed by the full mouthfeel of the (58.6%) cask strength. This is an extremely sweet whisky - the sherry influence is almost overpowering. Very smooth though - the ABV had me worried it might be a harsh dram, but that's not the case at all. Finish: Warming, residual sweetness on the back of the tongue, smooth to the end. Certainly an enjoyable dram, but not for the faint of heart. 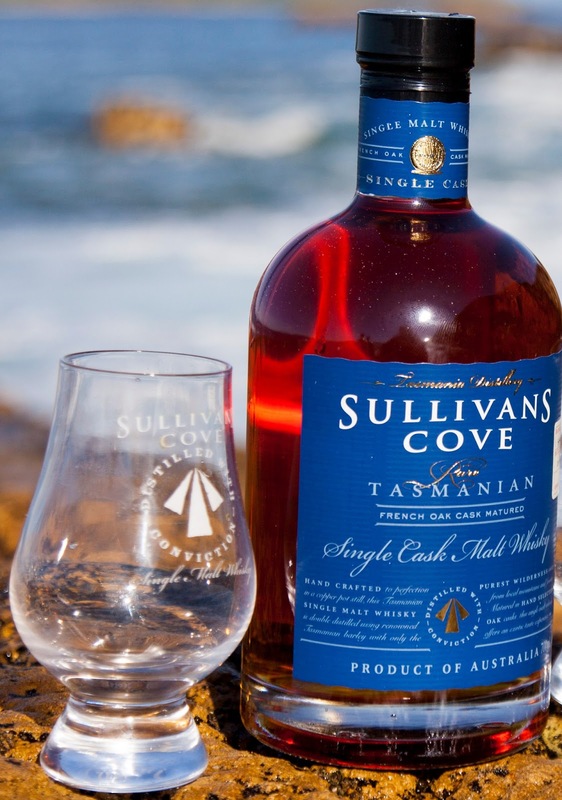 "Tasmanian whisky brand Sullivans Cove has been named "Best Australian Single Malt" at the World Whiskies Awards in London last week. This prestigious award comes on the back of scoring 90 points out of 100 at the Ultimate Spirits Challenge held in March in the USA. Sullivans Cove is Tasmania's top selling and most decorated single malt. Last year Sullivans Cove was named World Whisky Grand Master at the annual Spirits Masters in London, whisky guru Jim Murray named it his Southern Hemisphere Whisky of the Year in the 2013 Whisky Bible and Dominic Roskrow named it Australasian Distiller of the Year. Speaking from the distillery in Cambridge, Sullivans Cove distiller Patrick Maguire said: "Once again we have had a fantastic result. It is still quite unbelievable that we keep winning these incredible international awards and it just goes to show the quality of Sullivans Cove as a truly world class single malt whisky, a fact that is borne out by some fantastic export sales over the past year". Speaking about the awards, Whisky Magazine editor and World Whiskies Awards chairman Rob Allanson said: "This is one of the hardest whisky competitions in which to win a medal. This is mainly down to the rounds that the whiskies have to go through to qualify...there cannot be enough praise heaped upon those whiskies that win a sub category, you have to be an outstanding drop, showing great balance and character." A limited amount of the winning whisky (French Oak cask HH434), described by World Whiskies Awards judge Jim Anderson as "Graceful and balanced" is available from the distillery. 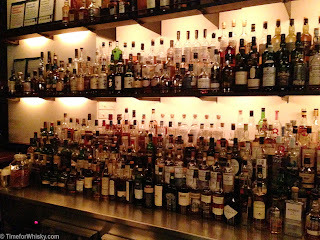 Please enquire online at www.sullivanscovewhisky.com"
You know Grandma's in Sydney, right? That "retrosexual haven of cosmopolitan kitsch and faded granny glamour" (their words) in Clarence St, also one of the first truly good, fun CBD small bars? 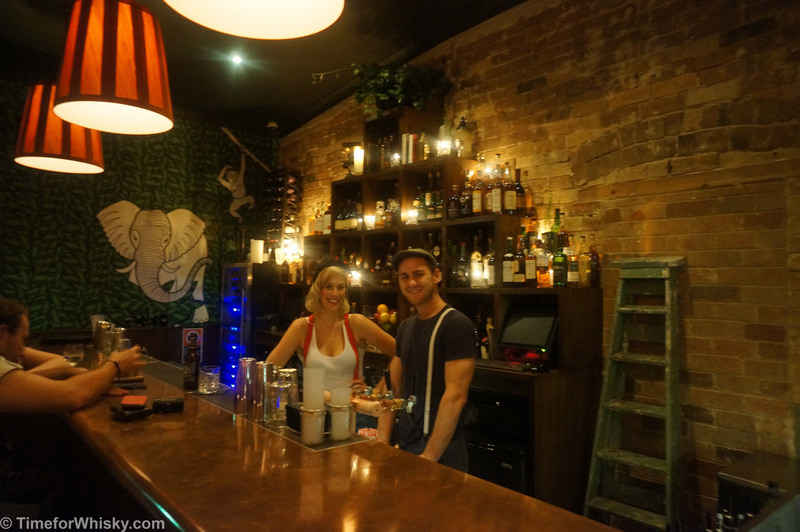 Well it's been a long time coming (originally due mid 2012), but the boys behind Grandma's have finally opened the doors to their new bar, The Wild Rover in Surry Hills, and trust us - it was worth the wait. 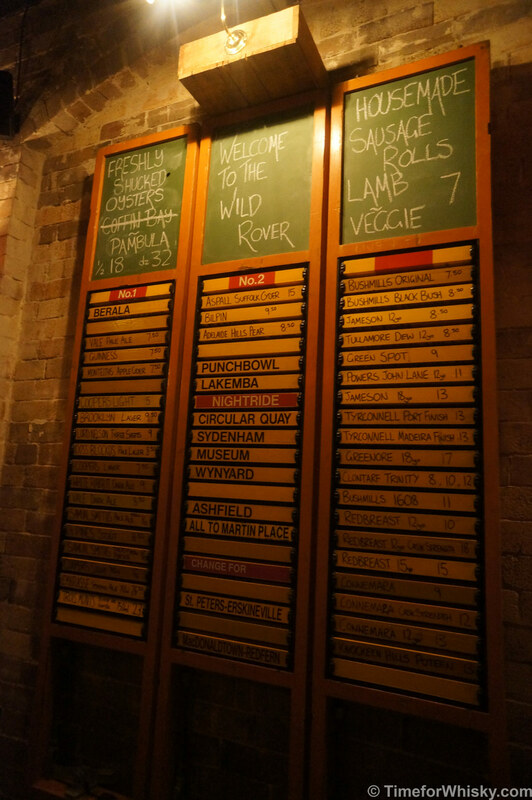 Named after the mythical "Wild Rover" of Irish folklore, a young gent who roamed the country from bar to bar ("I've been a wild rover for many a year....spent all my money on whiskey and beer"), and drawing from Surry Hill's early Irish heritage, The Wild Rover is a relaxed, friendly two-level bar (capacity 120) where patrons are invited to sit down with a drink and enjoy "the craic". "Inviting" is certainly the word for it. On the night we were there, every staff member was more than happy to have a chat, and seemed genuinely happy to be there. Definitely the sort of place you'll quickly feel comfortable in. 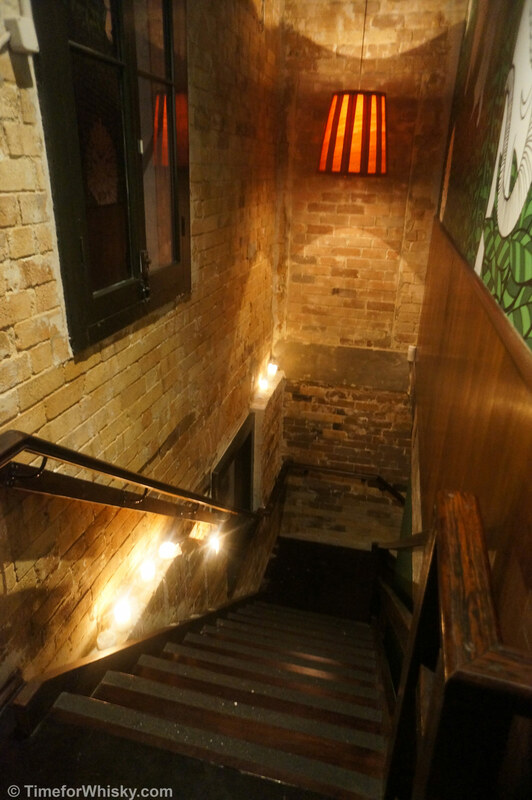 Effort has clearly been put into the decor too, with the lighting, furnishings and little touches (such as original c1920 Surry Hills maps) all designed to make guests feel comfortable and at ease. 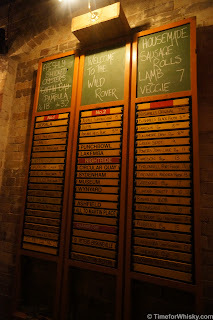 We especially loved the old CityRail boards used to display (part of) the whiskey and beer menu - a very cool touch. 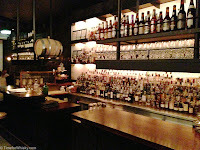 Speaking of whiskey and beer, the guys have certainly put a lot of thought into the list, with 100+ whiskies, 60 wines and around 20 beers (and an excellent cocktail list for good measure). The whisky list (in its own leather-bound menu) isn't your usual list of expensive Speysiders and Islay peat-monsters, but rather a well thought-out list of interesting drams that won't break the bank. Despite an Irish-heavy focus, there's a good breadth of Scotch too, with Glenglassaugh, Glenfiddich Age of Discovery, and a few lesser-known Islay malts. Prices are very reasonable Sydney (e.g. Jameson 18yo for $13, Glenlivet 12yo for $9.50).